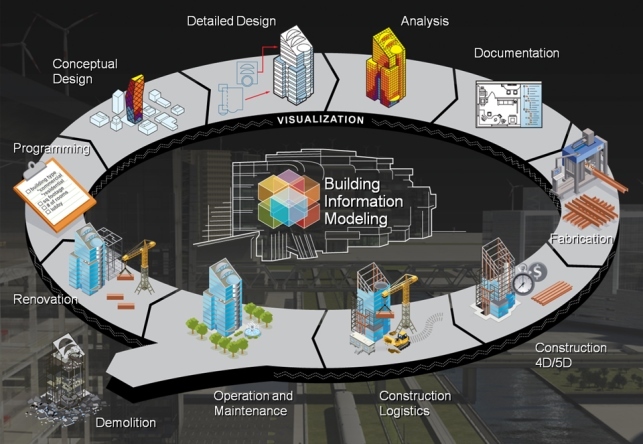 BIM is an acronym for Building Information Modelling. It is changing how buildings, infrastructure, and utilities are planned, designed, built, and managed. It describes the process of designing a building using one system of computer models rather than as separate sets of projects. BIM as a concept exists since the early 1970s. Building Information Model first appeared as a term first appeared in 1992. Anyway, the terms Building Information Model and Building Information Modeling or BIM had not been widely used until 10 years later when Autodesk Popularized BIM models. BIM model brings together all of the information about components of a building, in one place. It makes it possible for anyone to access that information, e.g. to integrate different aspects of the design more effectively. In this way, the risk of making mistakes is reduced, and abortive costs are minimized. - Product properties, such as thermal performance, etc. The future of the construction is digital, and BIM model is the future of design and long term project management; it is led by technology and clear processes; and it is implementing change all over the industry. As computers and applications have greater and greater capacity to handle increasing amounts of raw data and information, use of BIM model will become even more pronounced than it is in current projects. Most used BIM model software is Autodesk Revit which has it’s own format for parametric models, also known as Revit families.